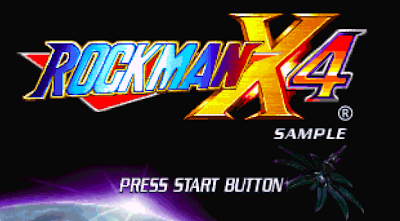 I've always had a special place in my heart for Mega Man X4. Great gameplay, superb music, fun bosses, "what am I fighting for?! ", and so on. Oh, and it just so happened to be the first X Series title I ever owned. Anyway, the game just turned fifteen years old yesterday. To celebrate, not only did I gave it a quick playthrough, but I thought it would be fun to data mine the trial version of the game (download it here) for hidden goodies; unused graphics, music, etc. Not even ten minutes into my search, I stumbled across a hidden image tucked inside the stage select tile data. It's pretty bizarre, to say the least. I love this sort of stuff, so I felt inclined to share it with you all. Check it out after the break! Nestled between portraits of Web Spider and Frost Walrus is this guy: a brooding officer (?) with an eye patch. It's photo-like appearance stands out among X4's hand drawn sprites. Kinda freaky looking, right? I have no idea who it's suppose to be (a Japanese celebrity? ), but I'm inclined to believe it's a placeholder for other boss portraits. UPDATE: Turns out the mystery man is none other than Colonel Zol from Kamen Rider. Thank you, anonymous commenter! Looks familiar, right? It should. 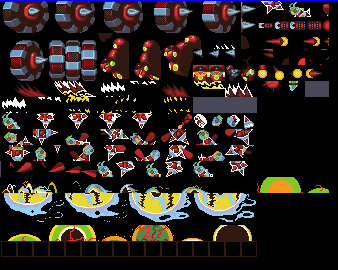 Rollin' Gear, a common enemy in Mega Man X5, was originally planned to appear in Mega Man X4. It was removed in the final game, but eventually found a home X5. It's missing several frames of animation, so this one was probably cut early on. Aaaand that's my spiel. Feel free to dig around the trial version yourself. And if you happen to identify the mysterious, let us know! Happy belated 15th anniversary, Mega Man X4! That guy looks an awful lot like Toshiro Mifune to me! Maybe it's from one of his war movies? @Cucumber: Wouldn't surprise me if it was a Japanese actor or celebrity. The little easter eggs found in the coding usually point to Japanese pop culture anyhow (Like the Odate Buta Servbot face in Legends). Wa-hey! X4 wasn't my first X game (X2 was), but X4 was my first PlayStation game and I played the crap out of it. Although I'm kind of embarrassed to admit I never beat it with Zero until I played it on the re-release of the X Collection that just came out not too long ago. It wasn't even as hard as I remembered it being either. But maybe that was just because I had beaten X1 - X3 shortly before trying that. Neat! I hope that there will have more beta or trial released of Rockman/Megaman games. Megaman 4 beta, Rockman X Beta, Rockman World (Gameboy) Prototype are a lacking of dump or share with people. I hate to be that guy but... "palate" is the roof of one's mouth. The word you are looking for here is "palette". Haven't seen a placheholder graphic like that. Neat finds! Look at the hat and moustache. 10 bucks says they based General’s design on this guy. - "READY?" and "GO!" from Power Battles\Fighters is present in the game's sample data, although it isn't used. Maybe X4 development was a branch on a canned PS1 port of Power Battles\Fighters? - Of course, Zero's beta sprites that are already on Sprites Inc. Those are the ones you can get by default, every other move has likely had it's commands dummied out, making other sprites impossible to view. - X has unfinished Fourth Armor graphics with broken assembly on a few pieces. Also, giving yourself the Armor does nothing, as it's abilities are either disabled or unfinished. Also, there is no Ultimate Armor, as it's files don't even exist. And although a space has been made for it, X's Plasma Shot arms do not have their appropriate palette yet. isn't the number 4 on the title screen kinda different too? Not exactly. It was changed in the English version. That's Colonel Zol from Kamen Rider. 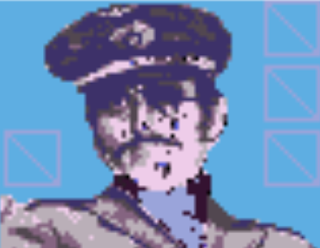 ^ Not only that, but Colonel Zol is also a villain.